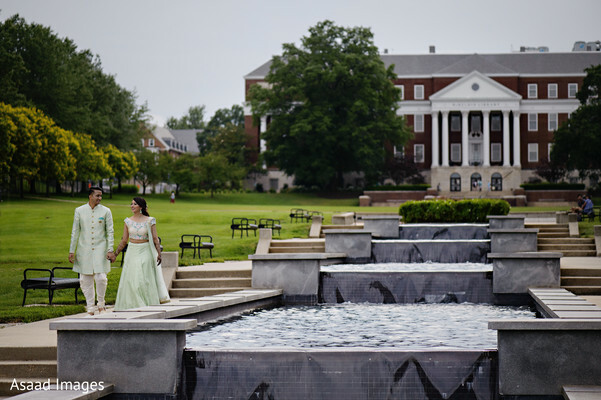 Today, we dedicate our Editorial Blog to the incredibly charming wedding of Chandni and Ankur! 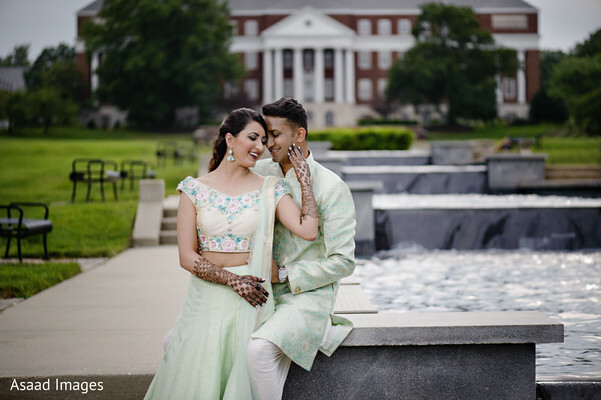 These college sweethearts started their love festivities with a blissful mehndi night where the beautiful bride, Chandni, and her female closest besties were pampered by Bhavna’s Henna and Arts with the traditional henna. 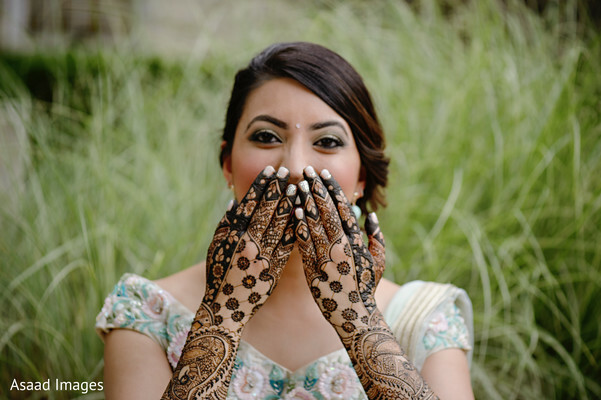 The bride to be got her hands and feet decorated with a detailed dark mehndi that I am sure more than one bride would like to reproduce for her own special day! 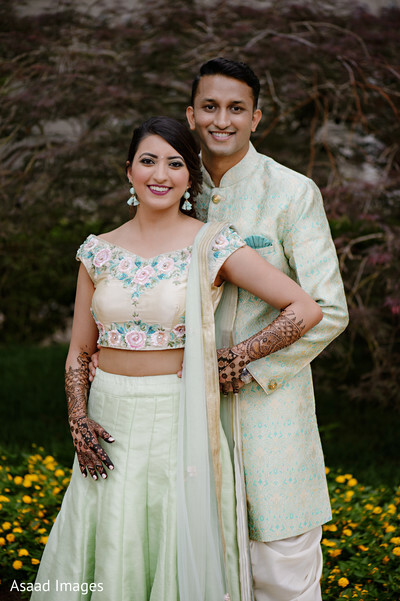 Aside from her fabulous henna choice, Chandni wisely chose to match her stylish outfit for her following Garba night held at the Julia Bindeman Suburban Center! 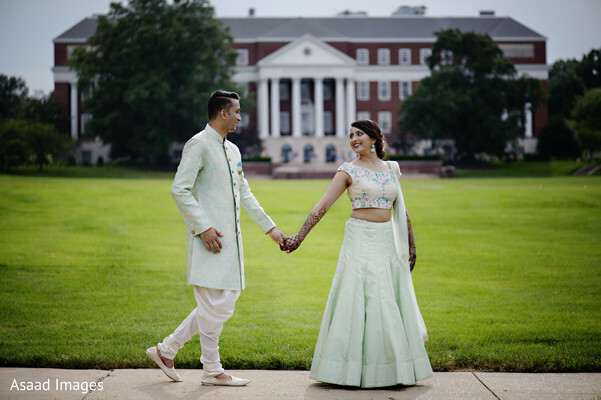 These two made a statement together with their color coordinating outfits for the gorgeous portraits that Asaad Images captured! 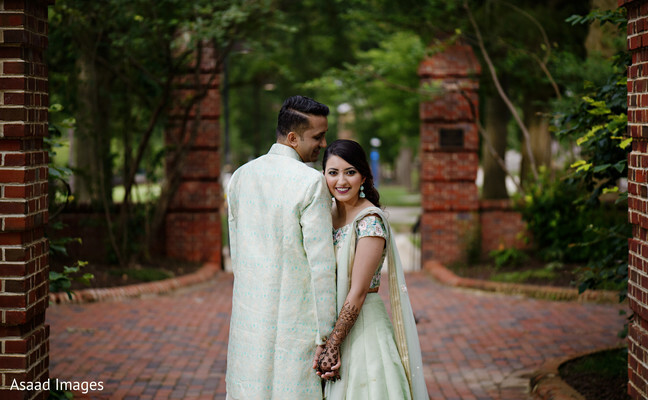 Take a glimpse of their amazing style in our full gallery! The big moment is coming up next!